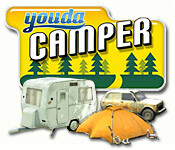 Youda Camper is rated 3.3 out of 5 by 7. Rated 5 out of 5 by cathousemama02 from Perfect Independent building game I dearly love games like this, that allow you independence in playing the game your own way, in an infinite number of possibilities......World of Zellians is like this too. And, I wish Big Fish would come up with more like them!!! I love building and leveling up on my own terms, put a road here or there, place a tent, a park or even an entertainment of some kind where I WANT IT...and not where the game makes me do it..... I DEFINITLY RECOMMEND THIS GAME.....20 TIMES OVER!!!!!! Rated 4 out of 5 by jbally22 from Love it. Maybe it would be better if... It could be better if you could actually see the people but other that that I love it. Rated 4 out of 5 by Pucktweety from A definite guilty pleasure. If I had to describe this game, I would probably go with 'it's like sim hospital.. but on a camp site.' It literally is you as a player, building a camp site, fulfilling your campers needs and completely little challenges and quests along the way. It's not really that exciting in theory, but it did have me hooked for hours and provided me with a very long fun game to play. 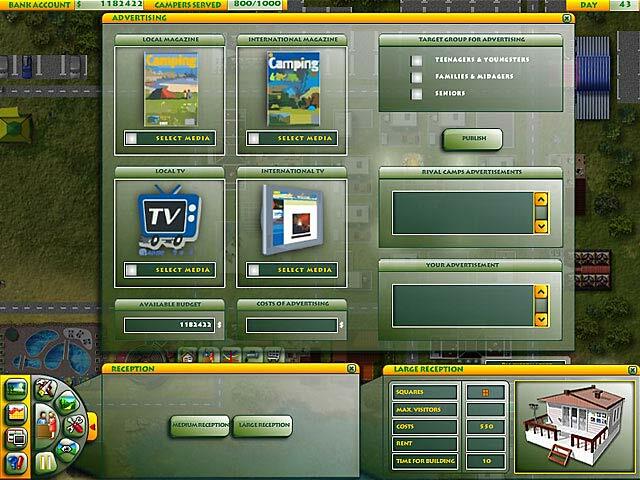 Even after everything is 'completed' you still can continue on to manage your campsite. While the graphics are pretty horrible, in the way it reminds you of the good old 90's, it isn't bad enough to put you off the game and in a way even fits with the game. I couldn't recommend this more for lovers of any type of 'Sim' game. Rated 3 out of 5 by Jayme2602 from Average Game This game is good, but not the best. I usually play this game if I have nothing to do and not much time to play, as I don't save the games when I'm done. Not really difficult. 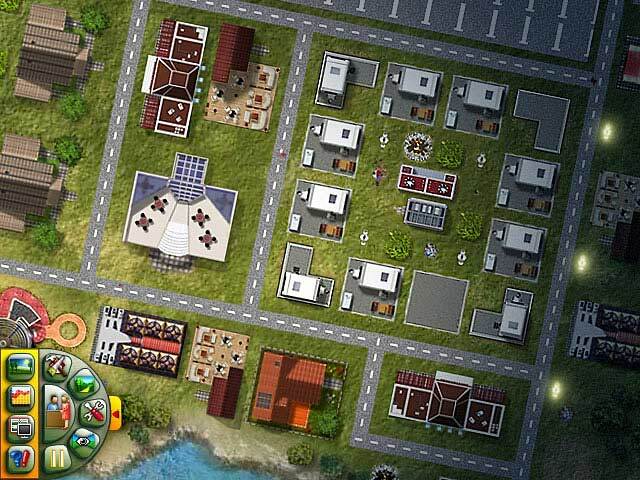 Rated 3 out of 5 by lalawe from Great idea, middling execution I love city management-type games, and I've enjoyed playing this one through. There are many different types of landscaping, campsites, and entertainment areas (from playgrounds to discos) to choose from, and you have pretty much free rein for where to place your items. There are several frustrating things with this game. First, the graphics are quite poor, and sometimes make it hard to figure out what's going on. For instance, for some of the caravan or bungalows, it's impossible to see if they're already occupied until you mouse over them, meaning you have to waste time to drag the new visitor's car down then, realize you have no free campsites of that type, and then build a new campsite - by which time, the visitors will probably have left. I feel, however, that the basic gameplay is pretty fun, and I hope there will be a sequel! Rated 2 out of 5 by alsteele28 from One camping trip I won't be repeating. TM games are suppose to be a tad stressful (that's what makes 'em), this though was way over, there was a lot of text to read, and as the graphics were older then it was a bit blocky, thus this meant that the text was a bit 'rough around the edges' making it harder to read. I could only play the game for around 20 minutes, and because I was still in 'learning' mode there was a lot of text to read. I killed guests, because I didn't put the fire out in time, owing to the fact that the menu/toolbars were not always that intuitive. I missed guests as I didn't always see the cars (or built the tents too late), thus lost customers/income. There was a lot wrong (INMHO) with this game (I couldn't also see the end goal (which for a TM geek like myself is essential), thus I gave up. 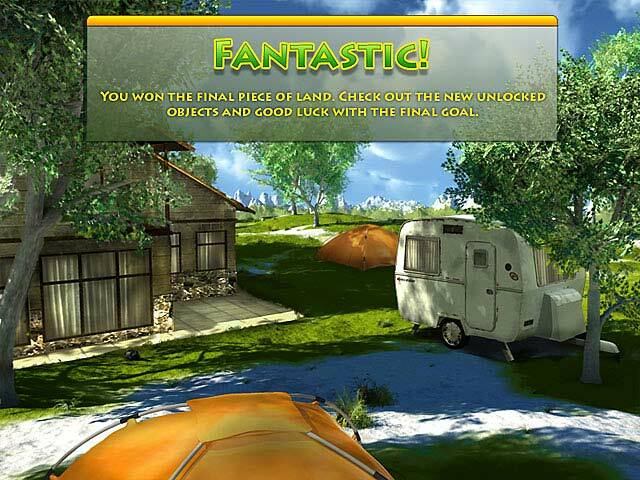 I personally wouldn't recommend the game, but it may appeal to someone, if you are wanting a camping style game then try 'campground' it is a quirky, but the graphics are better and the game whilst possibly simplistic compared to this at least 'flows' better.